More specifically Favours boxes & envelopess, we don't actually make sweets or CD's here! 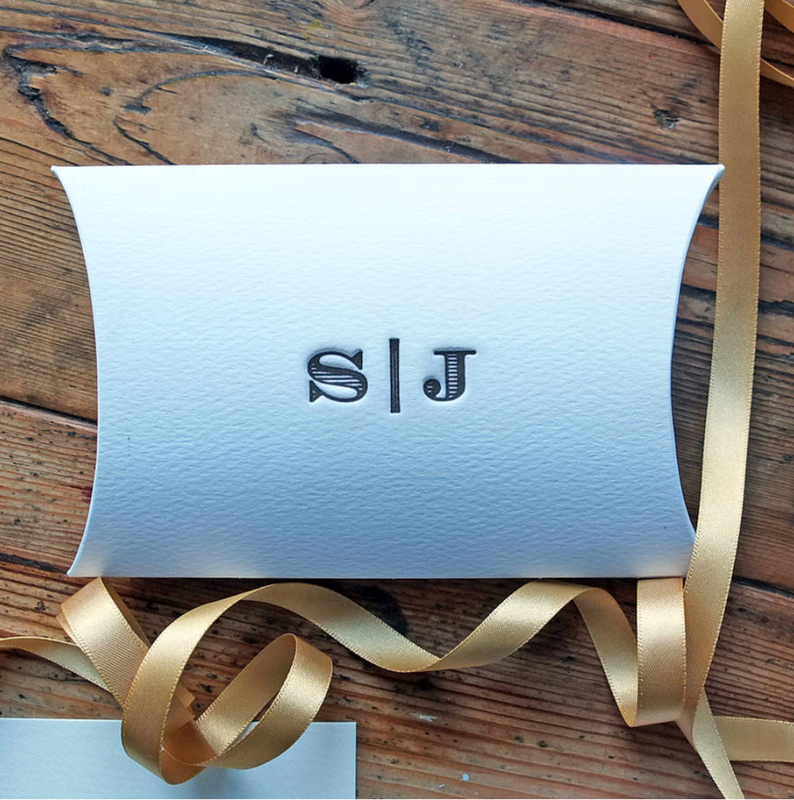 Letterpress printed favours boxes, envelopes, pockets and CD sleeves are a wonderful way to add a personal touch to your wedding favours, whatever you are planning. We love these - they look so pretty with a wedding monogram or motif. To be filled with the traditional sugared almonds, sweets or whatever unique favours you are giving. Different sizes & formats are available so please get in touch with your requirements and we can let you know what we can create. Personalised letterpress CD sleeves are designed for you to create your own CD as a favour to your guests - it might be the song list or photos - we can add song list printing to the back. Our beautiful wax sealed folding envelopes, and gusset string tie envelopes make a perfect little bundle if you are looking to give smaller favours. Boxes, CD sleeves and envelopes can be made up in a wide range of colours check out our colour chart for our stock options.